The Caribbean nation of Anguilla has more than 30 sandy stretches to choose from, but its most prominent beach is undoubtedly the Shoal Bay East. A popular daytrip destination for tourists coming from St. Martin/St. Maarten, Shoal Bay East can rival any Caribbean beach with its gorgeous seascape, pinkish hued white sand, and clear turqiouse water. 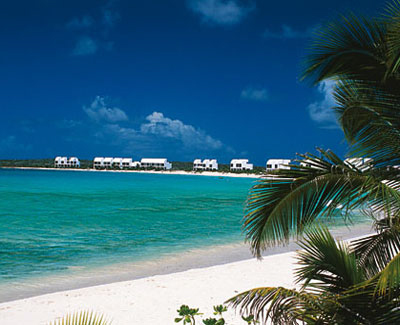 Measuring two miles long, Shoal Bay East’s size enables it to accommodate more people. It may not be as serene as other beaches in the country due to its popularity and consistent crowds, but Shoal Bay East offers a very lively atmosphere and is equipped with facilities to make it a well-rounded beach destination. Here, there are plenty of bars and restaurants to dine in, relax and meet other fellow travelers. Fun water based sports such as scuba diving, snorkeling and parasailing are available at Shoal Bay East, and the beach is home to a couple of shops that rent out equipment for these sports. 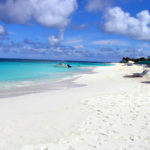 Like other beaches on Anguilla, Shoal Bay East welcomes beach lovers all day, every day. There is an available parking area on the main road near the beach. If you want to come to the beach when it’s quieter and has fewer tourists, schedule your visit during the period of early June through early July. 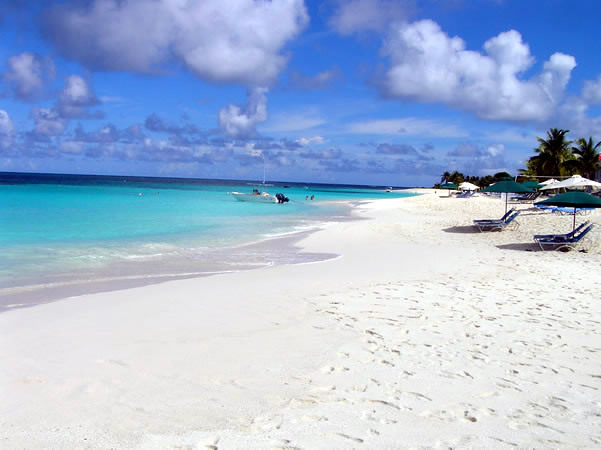 The months of October through December are also considered off season in Anguilla and Shoal Bay. When exploring Shoal Bay East by foot, take note that the beach is actually divided in two parts – the upper half and the lower half. If you turn left off the main road and into the western end of the Lower Shoal Bay Beach, you will come across the Tropical Sunsets Restaurant and Bar. This area is considered to be the more peaceful side of the beach because it is away from the main group of bars and restaurants. Tropical Sunsets is a good place to get lunch and that signature pina colada. They also have umbrellas and chairs for guests to rent. When you go past Tropical Sunsets and walk further to the western end of the beach, you will find a number of private villas and homes. But if you wish to enter into the heart of Lower Shoal Bay, find the alley in between the establishments called Uncle Ernieís BBQ and Madeariman Restaurant and Beach Bar. This is the central part of the Lower Shoal Bay, where most people choose to park and access the beach. Uncle Ernie’s BBQ in particular, is perhaps the most iconic eatery in the entire beach. Celebrities and other high profile individuals have been seen eating here over the years. If you walk past the central part of Shoal Bay and towards the much quieter eastern section, you will come across prominent establishments like the Ku Hotel, Shoal Bay Villas, and Elodia’s Beach Bar and Restaurant. At the easternmost point, you will encounter a 90 degree curve that leads to the transitional area between the Lower Shoal Bay and Upper Shoal Bay. 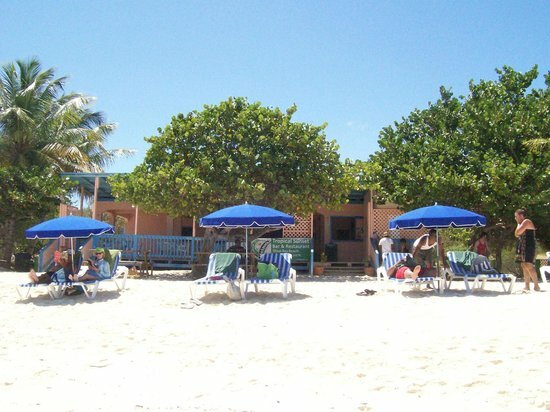 Here, you will get an amazing panorama of the Lower Shoal Bay and the shimmering Caribbean Sea. As you walk around this bend, you will eventually see the Sea Rocks site, which sits on a hill, and is home to many elegant homes and villages. If you have the time and energy, grab the opportunity to walk further and explore the rest of the Upper Shoal Bay area.